Sublime Skin Tightening is one of the most efficient, non-invasive treatments to encourage the production of new collagen and reduce signs of ageing. In the last decade, there has been an increase in “lunch-time” procedures which allow people of all ages to achieve youthful skin without the downtime. Sublime Skin Tightening treatments provides no exception. Say goodbye to dull, tired skin in just a few, quick treatments at Enlighten Laser and Skin Care Clinics. What is Sublime Skin Tightening? Sublime Skin Tightening with Syneron Candela’s Elos Plus technology combines both bi-polar RF energy and deep infrared heat to target the dermis layer of the skin. The controlled deep dermal heating shortens aged collagen fibres and leads to the production of new collagen fibres. Collagen is the structural protein found in skin that holds connective tissue together. As we age, collagen production slows leading to sagging or tired looking skin. Researchers suggest we lose approximately 1 percent of collagen per year. What Will Sublime Skin Tightening Treat? What Should I Expect With Sublime? Sublime Skin Tightening is a non-invasive, skin treatment similar to a facial. However, instead of using products, our skin care experts use Syneron Candela’s Elos Plus technology. Although Sublime Skin Tightening may be used on other parts of the body, the face and neck are by far the most common target areas. The head of the machine carefully glides over the skin and releases heat. Each session is approximately 20 minutes and you may return to your normal daily routine immediately after the treatment. Treatments will need to be spaced at least two weeks apart. How Many Sublime Sessions Will I Need? The number of sessions will vary depending on the person and their skin condition, however, optimal results are often seen after five sessions with Syneron Candela’s Elos Plus Sublime application. Results are gradual and communilative. 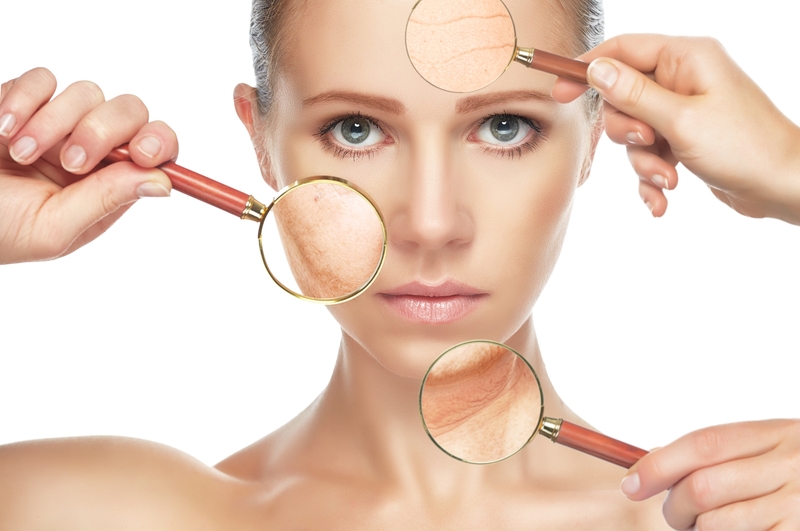 Will Sublime Skin Tightening Hurt? Most clients relate the feeling to a warm deep tissue massage. It is very rare to need any sort of topical numbing cream or anesthetic. How Much Does Sublime Skin Tightening Cost? The cost of Sublime Skin Tightening is dependent on how many sessions a client needs. The best way to determine an accurate estimate is to book your free consultation at the Enlighten Laser nearest you. Book your free Sublime Skin Tightening consultation at the Enlighten Laser and Skin Care Clinic near you.